Public Safety resources are limited and should never be wasted. Thousands of patrol hours are spent investigating alarm reports that turn out to be “false alarms”. Involve the school security director and inform him/her about every false alarm response. Install audible alarms so that intruders are aware that they have been detected. Dispatching on dual sensor activations may help reduce the occurrence of false alarms. Implement a detailed program identifying system users. Card-swipe entry into a building is a good way to track who has been accessing the building and, therefore, might be an effective way to determine who needs additional training on arming or disarming the alarm system. Maintain strict control over who has access to the building by limiting the amount keys distributed. Don’t give users a key until they are trained on the proper use of the system. Arrange periodic user training. The best time is right before school begins and after returning from each break. Disarm active areas when access is needed after hours. Have the site principal work with staff and outside users to determine the arming and disarming time for each area of protection and communicate schedules to their monitoring company. Assure that the system is designed to allow access to the keypad(s) from the various areas. Request that your monitoring company use Enhanced Call Verification (ECV), which means that if they receive no answer at the alarm site, they call a responsible party’s or authorized user’s cell phone prior to requesting law enforcement dispatch. Nothing of value should be placed within arms reach of windows. Take care in deciding the placement of expensive computer and electronic equipment. Properly instruct system users on false alarm prevention. Review alarm activation reports on a daily basis. Assign individual arm/disarm codes for each system user. When was your alarm system inspected last? When was your last alarm system training meeting with all staff? Do any of your teachers/administrators work after hours or on weekends? Do they know how to operate the alarm system properly? Is the school facility used by outside groups on evenings and weekends? Identify the parties responsible for the evening and/or weekend use. Ensure that all people have left the building. Secure and lock the entire facility. Properly arm the security system. Thoroughly train the responsible party on proper operation of the alarm system, including the appropriate codes for canceling an alarm dispatch. Sports teams using your athletic fields in the evenings or on weekends may try to gain access to the facility for water and/or bathroom breaks. If your doors are unlocked, the kids will enter. Unless you are prepared to swear out a warrant for unlawful entry, this will be considered false alarm! Secure and lock ALL doors and windows before arming the alarm system. 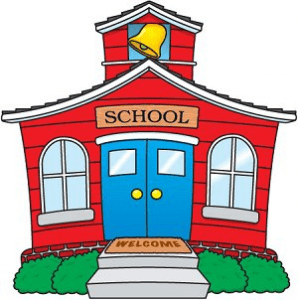 It is absolutely necessary that an audible alarm sounds at the school site when an alarm is activated so that the alarm users know when the alarm has activated and can take steps to avoid false dispatches.